OSRAM Quality you can trust. As the world's No.1 in automotive lighting supplying the major vehicle manufacturers worldwide we only produce high quality products in accordance to their specifications and demands for quality products on vehicle production lines. When a headlight or auxiliary bulb fails on your vehicle, you might just think that “a bulb is just a bulb – what difference can there be?”. Car manufacturers, blue-chip fleets and quality parts distributors certainly do not take this attitude. That is why they choose OSRAM Original Equipment bulbs. OSRAM bulbs are used and approved by major vehicle manufacturers worldwide because they know that OSRAM bulbs will not let them down. Many blue chip fleets have also realised that to compromise on the replacement bulbs they use is a false economy. Quality parts distributors are also recognising that bulbs are highly technical safety components and low cost, poor quality versions are simply incompatible with modern day vehicles. Stop MOT failures and avoid replacements with quality bulbs. The most common cause of MOT failure is due to Lighting and Signalling according to VOSA figures for 2008-09. Changing a failed or inoperable light bulb can be a complicated and expensive exercise. Poor quality bulbs with short life times can lead to unnecessary repeat bulb purchases, labour costs at your local garage and potentially MOT re-tests. It pays to think about the product that you are fitting when making a replacement. We always suggest you specify quality Original Equipment only. When it comes to buying a bulb, the chances are you may simply trust your local garage, motor factor or stockist to provide you with a bulb to do the job; but how do you know that you are being sold a good quality product? There are many aftermarket brands to choose from in the replacement bulb market and price often does not reflect the quality of the bulb inside the box! Quite reputable brands often have bulbs in their nicely branded boxes that are no better than cheap white box offerings. What really matters is who has made the bulb. 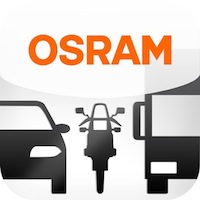 OSRAM is the largest automotive bulb manufacturer in the world. We make what we sell and all our bulbs are branded with the OSRAM name and supplied in an OSRAM box. Think about it, a bulb manufactured in a low cost factory is sold to an importer, repackaged into aftermarket ‘brand’ packaging; it is then sold to the motor factor or retailer and then sold to you. Think of the margins involved. How cheaply was it made in the first place and can you really trust the product? OSRAM strongly believe that replacement headlight and auxiliary bulbs should be thought of as 'Safety Products'. Safety should never be compromised on the road and by fitting products of OE quality (the same quality as specified and trusted by vehicle manufacturers worldwide) to your vehicle will give you the piece of mind that you are safe on the road. So why choose an OE manufactured bulb from OSRAM? Our products are manufactured to the same high quality and standard that is specified and trusted by major vehicle manufacturers worldwide. They are manufactured by OSRAM in Germany. OSRAM are specialists in the field. We only manufacture and sell bulbs. Over 100 years of experience of vehicle bulb manufacturing. All OSRAM bulbs are genuine ORIGINAL EQUIPMENT products. Fit and forget with OSRAM premium quality. When you are making your next bulb purchase, replacement or just want to upgrade your standard headlights try OSRAM NIGHT BREAKER® LASER Next Generation for better performance, longer life and increased safety!